Planet Green Environmental Education | School of Laughs educational assembly shows with motivational speakers Mark Bunnell and Andrea Terry. “Planet Green” is an environmental adventure! To teach and inspire global citizenship. To motivate students to become lifelong stewards of our Earth. To protect and understand our planet’s amazing life giving natural resources. “The Flow of H2O:” A theatrical exploration of water science, conservation, where our water comes from, storm water pollution, our uses for water, our role in taking care of it, and the global picture for water as a life force and source. 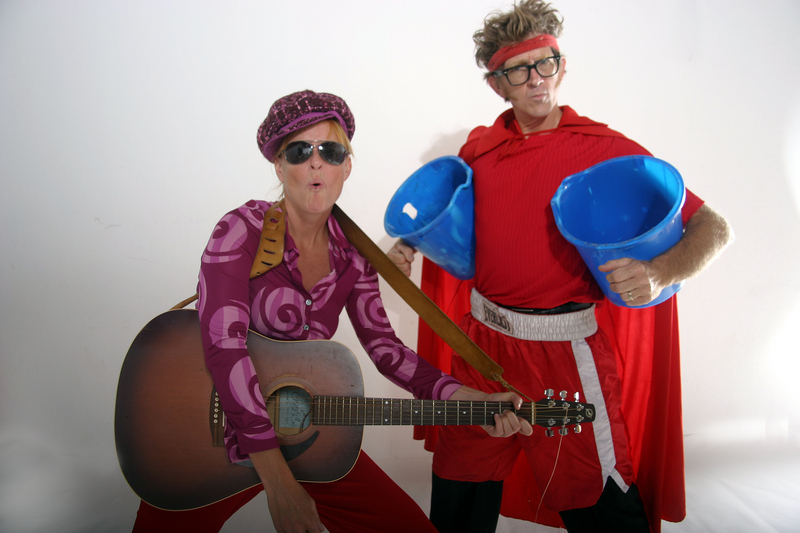 This program blends sketch comedy with scientific and metaphorical demonstrations, song, world class juggling, zany stunts, story telling and lots of audience participation. Follow a drop of water on it’s journey through the water cycle and the story of how a body of water discovers trash in it’s habitat from storm drain pollution. Both students and teachers are delighted and inspired while they interact and help construct a way to protect our most precious resource, water! “Trash Talk:” A fun and practical approach to conservation, earth science and preservation of our natural resources. Comical edutainment covering Reduce, Reuse, Recycle and Respect for our planet Earth. Learn more about our beautiful planet Earth, and stay in tune with nature by adapting our everyday routines and lifestyle in accordance. The audience participates in how to Reduce the amount of trash we create and the natural resources we use, Reuse products as much as possible, Recycle EVERYTHING we can, all because we love and Respect our planet!